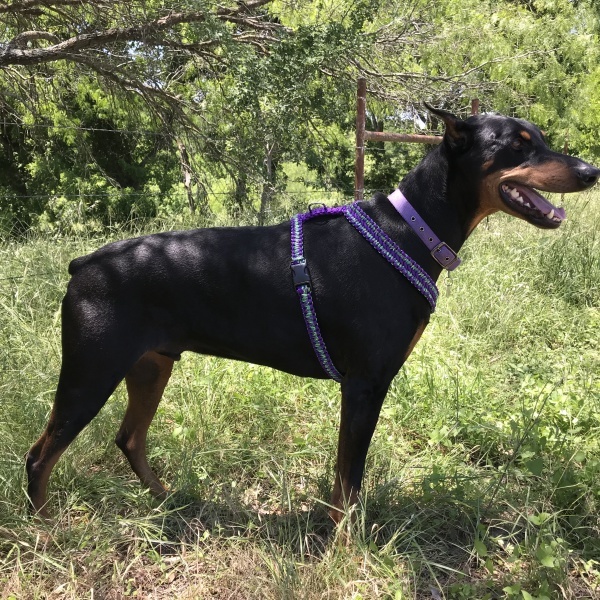 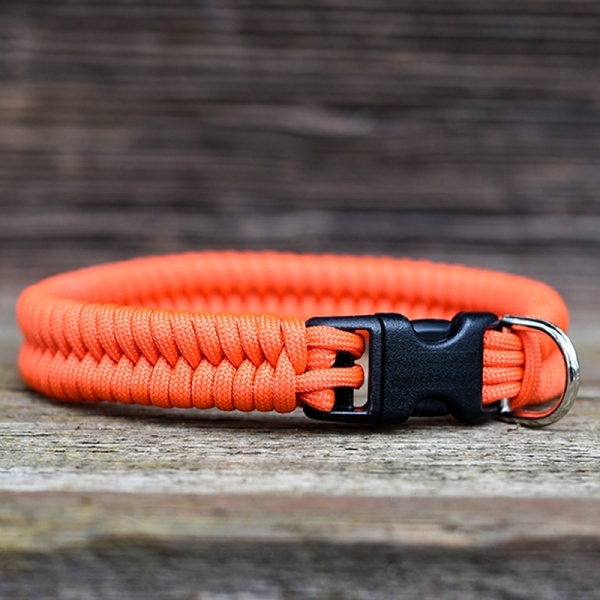 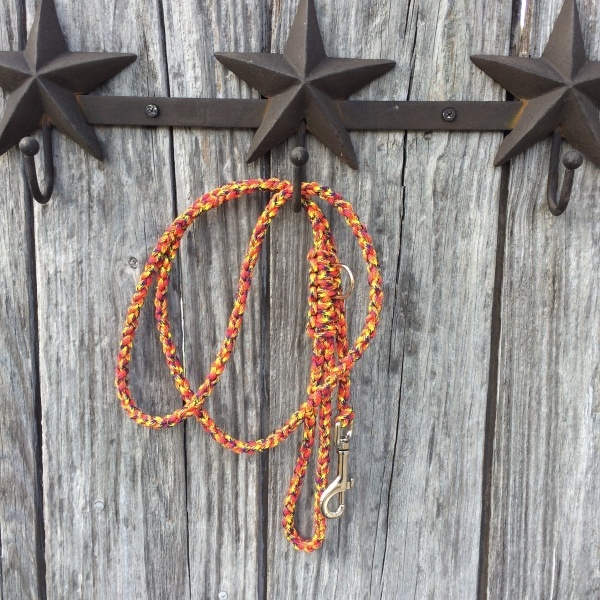 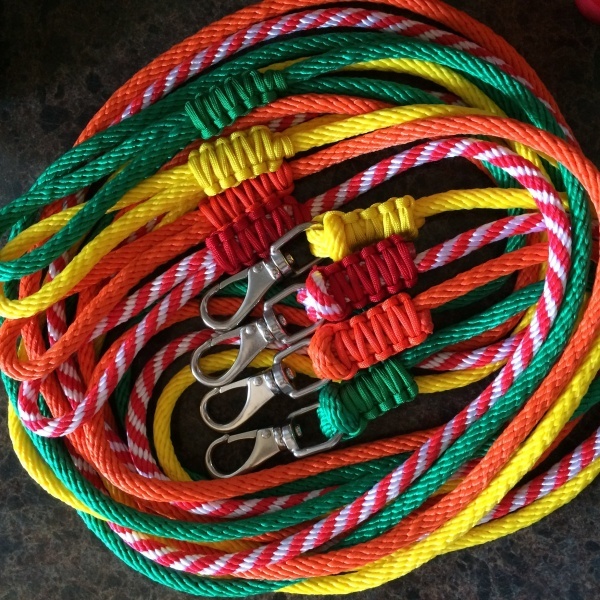 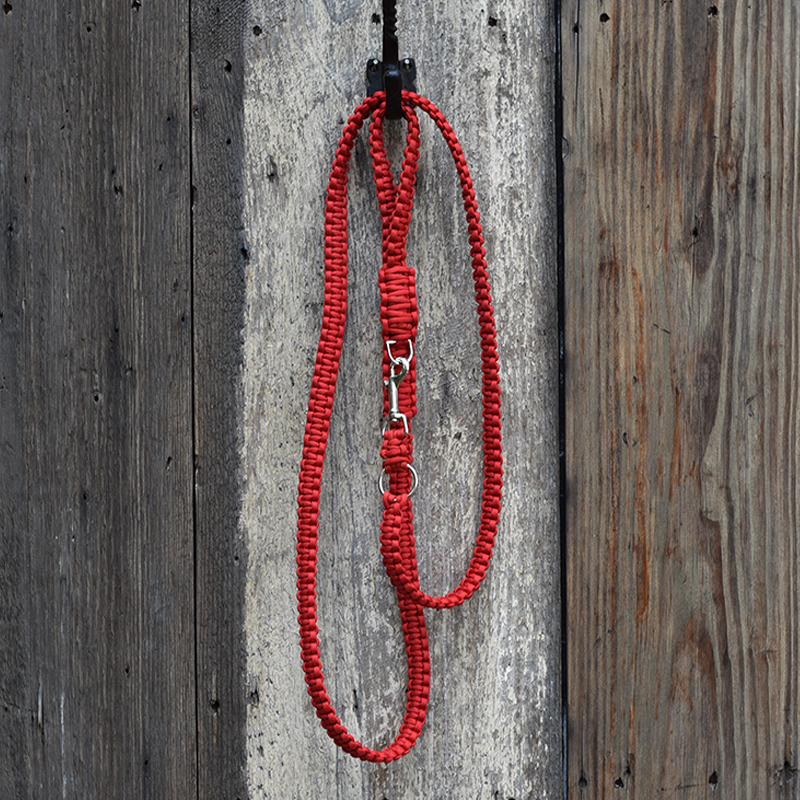 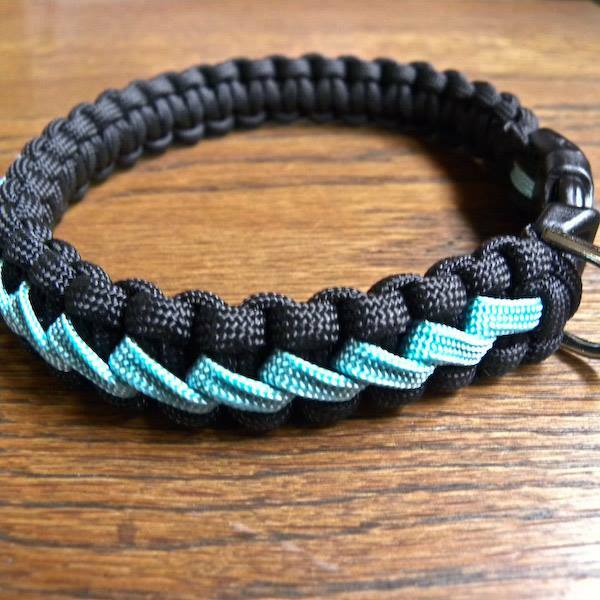 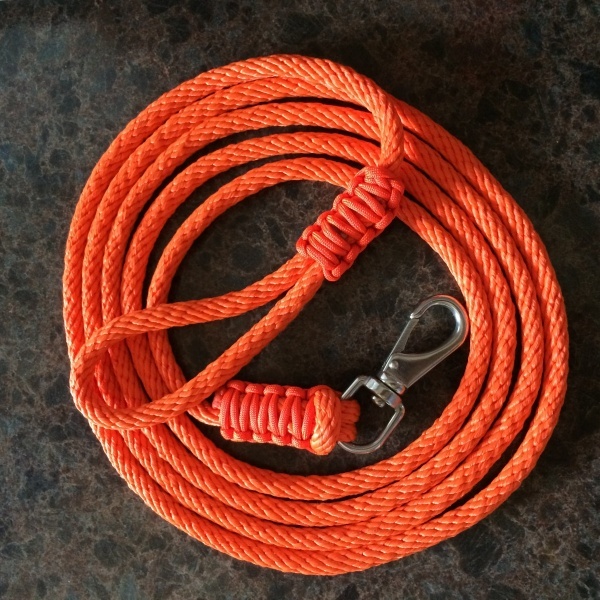 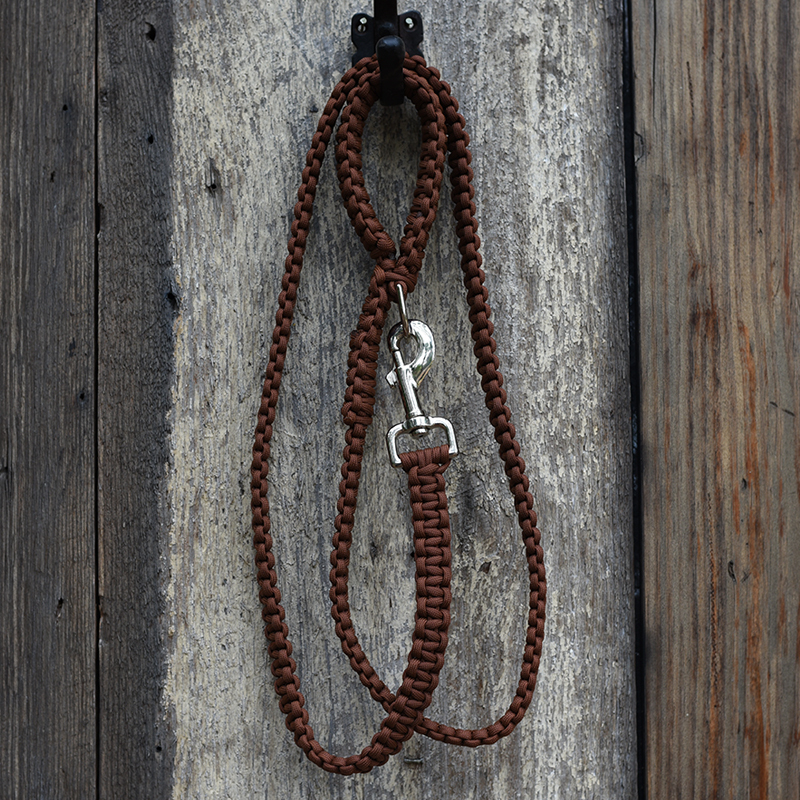 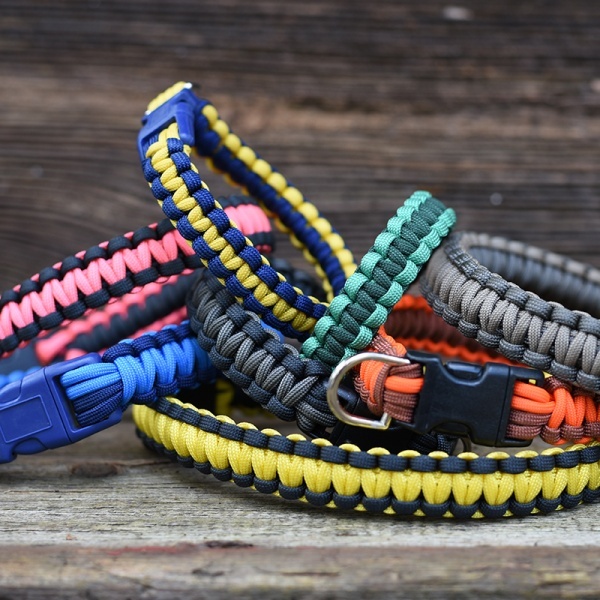 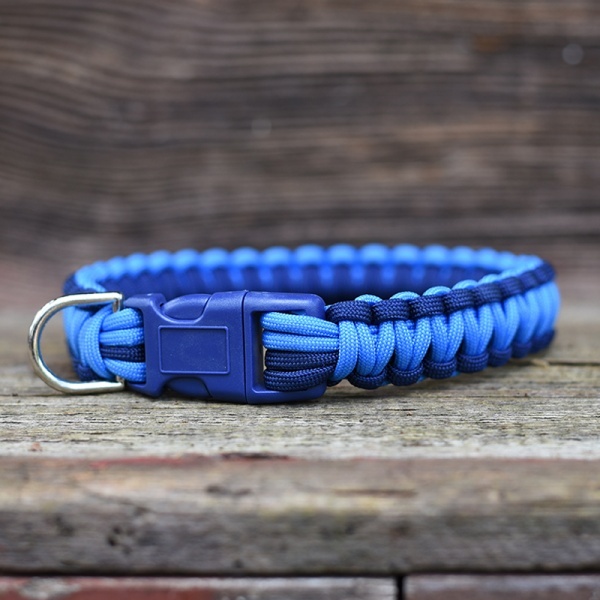 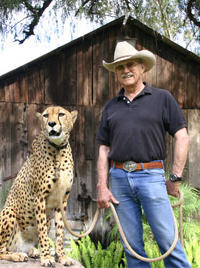 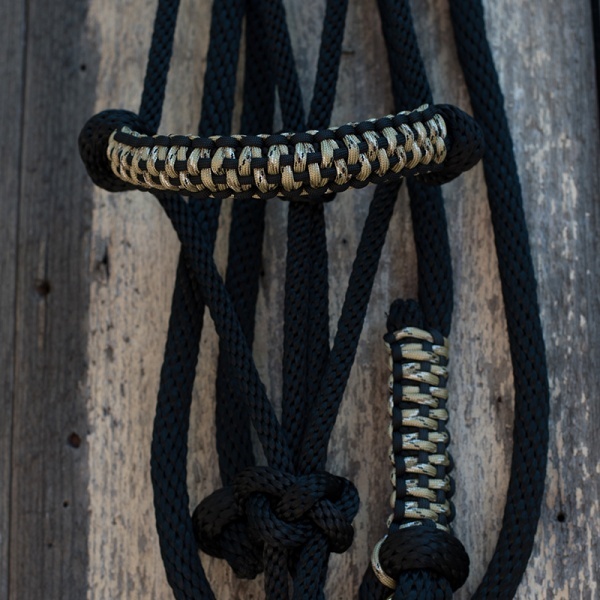 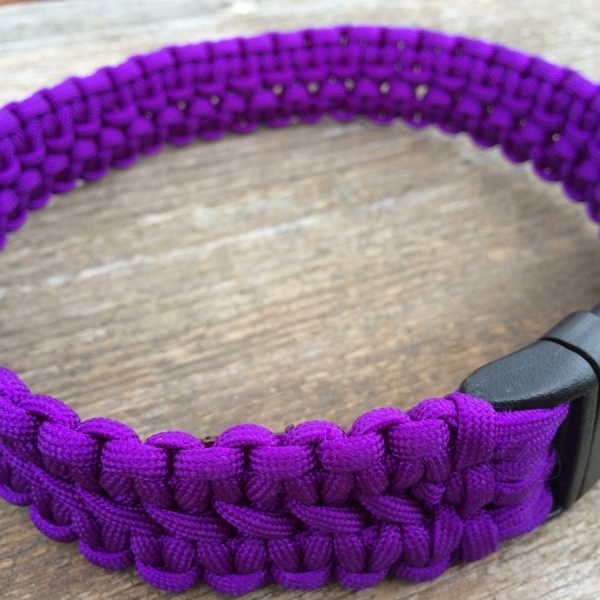 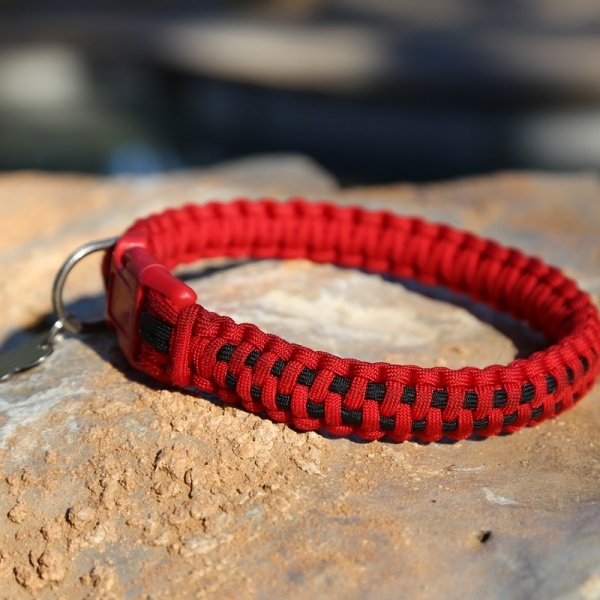 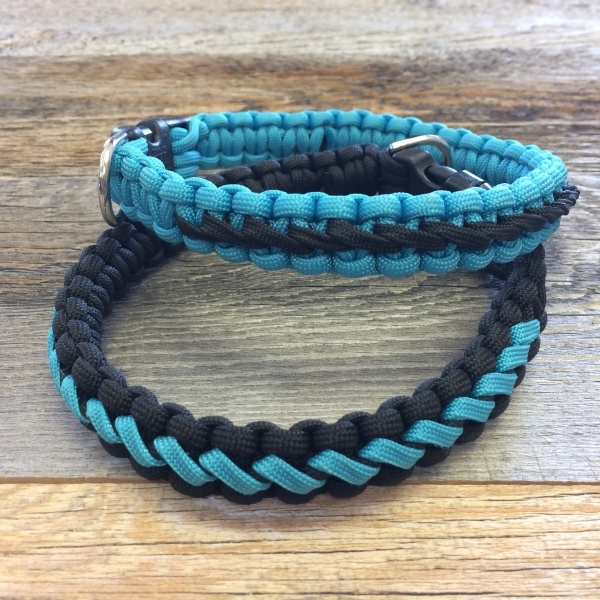 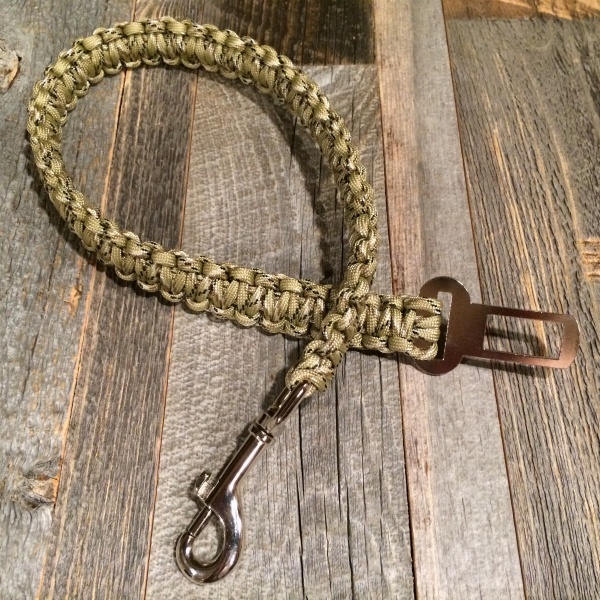 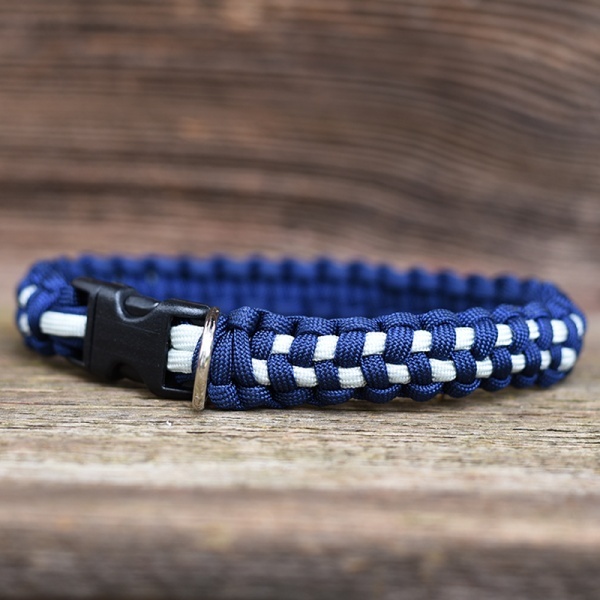 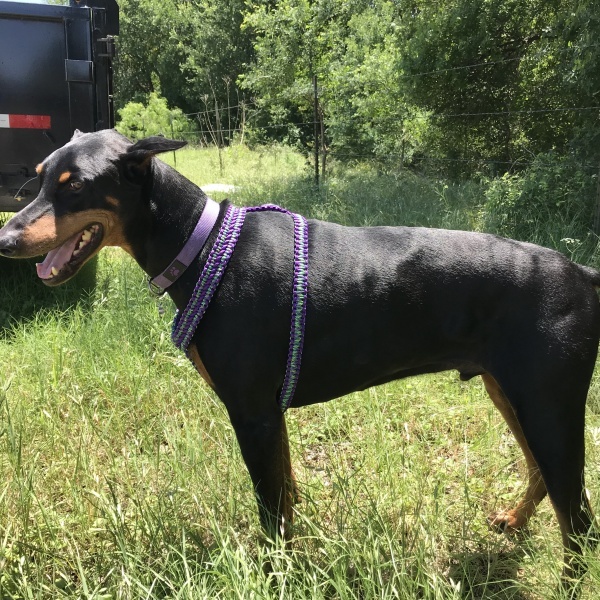 Durable 550 paracord is used to make these single color Cobra Weave leashes which come in several lengths. 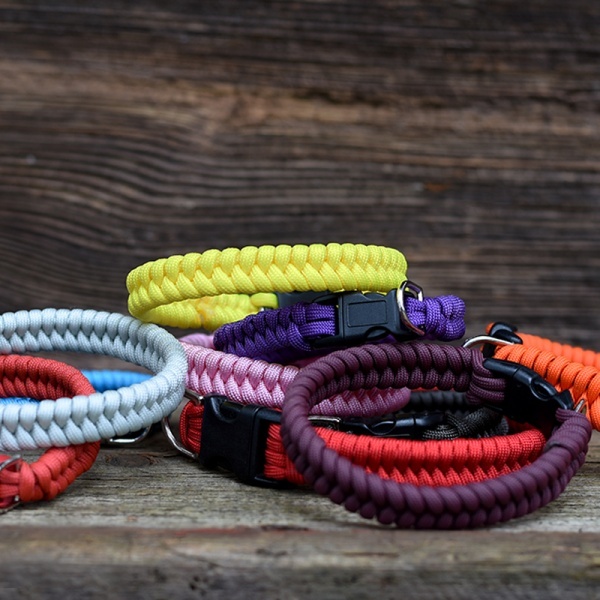 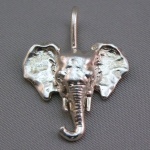 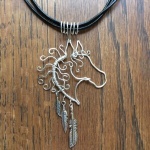 You select your favorite one from the wide variety of colors available. 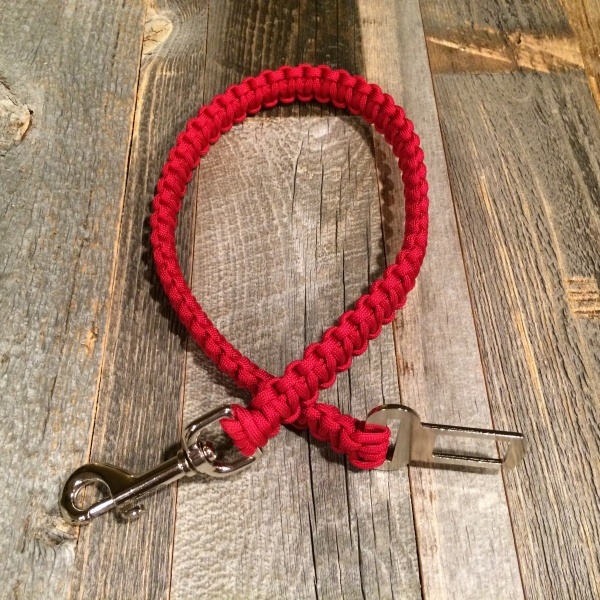 A convenient D ring is added below the handle to attach a waste bag container.